It might make sense that a rookie mayor who's spent much of his political career out of town would work extra hard to build ties with neighborhood leaders during his first months on the job. And it might seem logical that a mayor who's been in office for more than two decades would get comfortable fraternizing with other powerful people. But that's not exactly how it's gone around here. »Read "The Mayor's Millionaire Club" for a more extensive overview of this information. 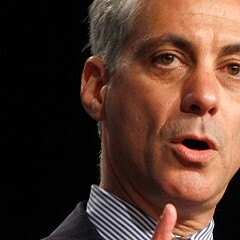 »Twenty-five of the people with access to Emanuel's inner sanctum. 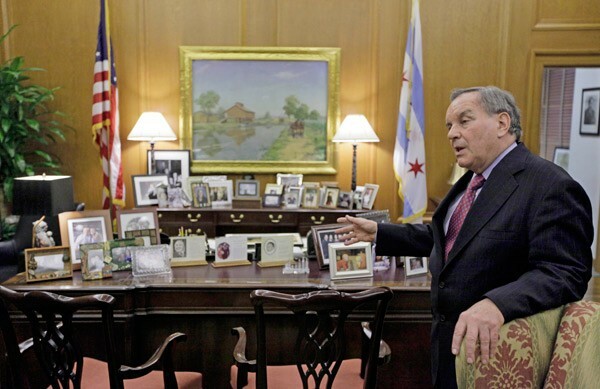 Like Mayor Rahm Emanuel, his predecessor, Mayor Richard M. Daley, blocked out much of his daily schedule for short private meetings. But well into his last term, Daley met with a wide array of politicians, business interests, and community activists, according to the appointment calendars of both mayors, which we acquired through Freedom of Information Act requests. For example, among the honored few ushered in and out of Daley's City Hall office in January 2010 were clergy, leaders of the Chicago Cycling Club, a "tree advocate" from the Morton Arboretum, and the owners of Gene's Sausage Shop and Delicatessen on the northwest side. Daley also convened monthly "briefings" with officials from each major city department and sister agencies, including the Chicago Housing Authority. As of this summer, Emanuel wasn't holding similar meetings. That's not to say Daley didn't confer with his share of movers and shakers. In that same month he found time to sit down with the CEOs of Harris Bank and Bank of America; the president of Walmart's midwestern division, which at the time was trying to win City Council support to expand in Chicago; and Rush University Medical Center, a recipient of $75 million in tax increment financing funds. The former mayor also regularly set aside time for meetings so private that the people he got together with weren't even named on his internal calendar—a practice Emanuel has continued. One big difference between the two mayors, though, was that Daley didn't appear to schedule regular meetings with reporters—on or off the record. Something they did have in common: they always found time to meet with United Neighborhood Organization CEO Juan Rangel, who, with Emanuel as with Daley, can be counted on to bring out the troops on behalf of whatever educational initiative the mayor is pushing.